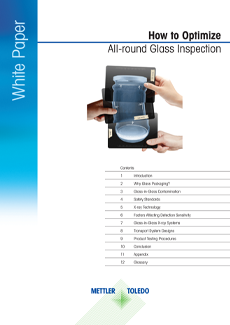 Glass packaging is one of the top choices of packaging material for food, beverage, cosmetic and pharmaceutical products; however, its natural fragility ensures that all-round glass inspection is paramount. The global glass packaging market is projected to reach $55billion by 2020[i]. This is driven by brand owners, looking to benefit from its recyclability, sterility, durability and non-permeability attributes. Glass packaging is also often favoured amongst consumers seeking a premium look-and-feel or who would like full visibility of their chosen product. 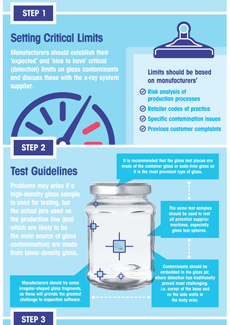 Despite the popularity of glass packaging, manufacturers need to ensure that there is no risk of glass-in-glass contamination entering the marketplace. In 2016/17, 5% of incidents reported to the UK Food Standards Agency resulted from foreign bodies including glass. The number of product recalls may be low however the consequences can be fatal or life-changing to consumers, with long-lasting repercussions for all businesses involved in the supply chain. 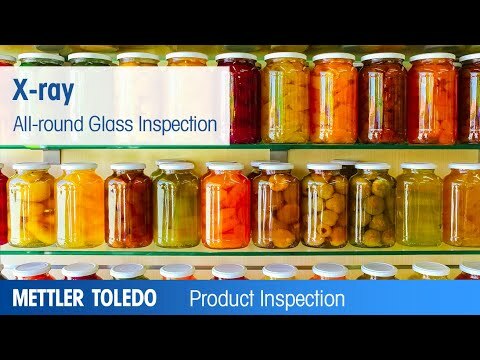 Integrating the correct x-ray beam technology with robust product handling devices will help to optimize all-round glass inspection thereby preventing any glass-in-glass contaminated products reaching the consumer. 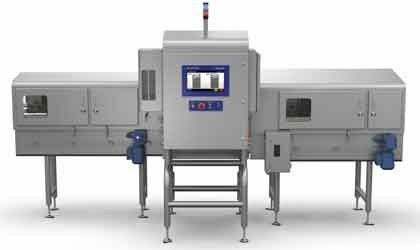 Designed to inspect glass containers, with a diameter of up to 130mm, on single lane applications and at speeds of up to 120m/min.